Was this police officer intoxicated or suffering a mental episode while on duty? A police officer in the US state of Texas has shot and killed a man in a flat after mistakenly thinking she was in her own unit, police say. The unnamed Dallas officer entered the apartment after her shift on Thursday night and confronted the victim, 26-year-old Botham Shem Jean. Jean was treated on scene and taken to hospital, where he later died. The officer has been placed on leave while the police and District Attorney's Office investigate. A teenage boy beheaded himself with a chainsaw after losing a computer game, according to reports. Pavel Matveev, 15, walked into the garden of his home after becoming frustrated with the game and took his own life. Police have now launched a criminal investigation looking at 'incitement to suicide'. Young Pavel's body was found in the village of Mogochino, Russia. I always thought something like incitement to suicide was a factor in the Bridgend suicides. It's reasonably well documented that front page publicising of e.g. suicides does lead to a subsequent spike in suicides. (Cialdini again). Ethically, making them big news is at best irresponsible. The owner of a southern Colorado bowling alley has died after getting stuck in a pin setting machine. A pedestrian has died after being hit by a window pane which fell 250 feet from a luxury apartment overlooking the Thames. The man, who has not been named, died instantly when the glass smashed on the ground outside the Corniche, a block of new multimillion pound flats on the Albert Embankment in Vauxhall, south London. St James, the developer, which is part of the Berkeley Group, said it was urgently investigating the incident which happened just after 10.30am today. It markets the site as an “exclusive address” of two, three and four-bedroom apartments and penthouses with panoramic views over the Houses of Parliament. Apartments cost between £2.7 million and £6.25 million. Today the area surrounding the block was cordoned off to the public and officers could be seen checking the windowpanes in the rest of the building. I remember an interview from decades ago in either Melody Maker or NME where Robert Smith of The Cure said this was a recurring nightmare of his. I guess being shot dead because someone thought you were a boar qualifies as a strange death. Could have gone in Ridiculous accidents as well. A 34-year old British cyclist has been shot dead in what appears to have been a hunting accident in the French Alps, police have confirmed. Marc Sutton, from Caerphilly in Wales, was killed by a bullet while cycling down a path through a wooded area near the ski resort of Les Gets, in the southeastern Auvergne-Rhone-Alpes region, The Times reports. Sutton, who ran a nearby vegetarian restaurant, is believed to have died instantly. The bullet is thought to have been fired by a 22-year-old gunman, who has a firearms licence and was with a hunting group when the incident occurred, at about 6pm on Saturday. It is unclear how many other hunters were present, with estimates ranging from seven to 20. The gunman was admitted to hospital for shock and therefore “could not be taken into custody while he is investigated on suspicion of aggravated manslaughter”, says Al Jazeera. Police said the gunman might have mistaken Sutton for a deer or a boar. Yeah, a deer or bear in hi-viz. You just mentioned an UL about a Russian bear on a bike a few days ago. There's no mention of the bear being in hi-viz. You never know though. Well, if you go down to the woods today, you'll be sure of a big surprise. Squirrel brains will kill you! A 61-year-old hunter died from complications of a brain disease he got from eating squirrel brains, according to a paper published in October. When the man's brain was scanned, doctors diagnosed him with a variant of Creutzfeldt-Jakob disease, aka Mad Cow disease. In 1997 the New York Times published an article titled, "Kentucky Doctors Warn Against a Regional Dish: Squirrels' Brains." "Squirrels are a popular food in rural Kentucky, where people eat either the meat or the brains but generally not both, Dr. Weisman said. Families tend to prefer one or the other depending on tradition. Those who eat only squirrel meat chop up the carcass and prepare it with vegetables in a stew called burgoo. Squirrels recently killed on the road are often thrown into the pot. 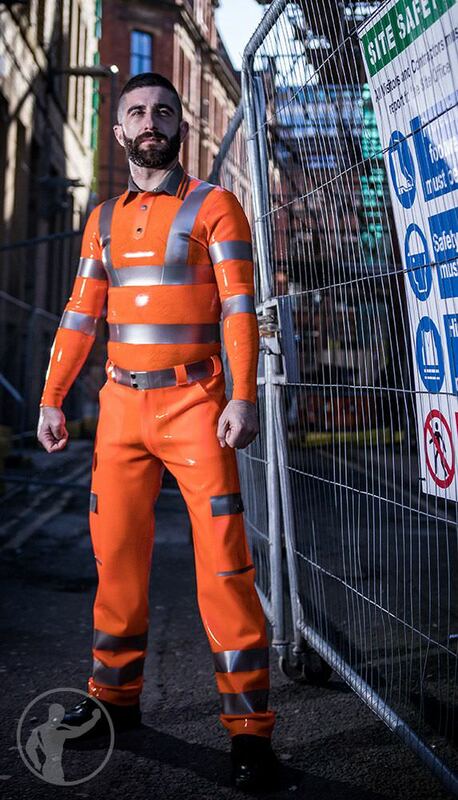 ..."
Yup, a 'bear' in skin-tight PVC hi-viz. Ticks many boxes, this guy. Aussie man killed by slug. Or more precisely, by the rat lungworm parasite he ingested when he ate the slug for a dare eight years ago. It travelled to his brain, caused eosinophilic meningitis and 420 days of coma followed by paralysis. Horrible way to go. Skydiving instructor commits suicide by intentionally disconnecting himself from the student he was tandem jumping with. That must have been traumatic for the student. Yesterday I was reading in the Times about a holidaymaker who'd tried kitesurfing or something like that with an instructor. The harness came unclipped and the tourist was left clinging to the instructor's legs and whatever up in the air. All ended well, with exciting holiday snaps to prove it. And a bum-clenching souvenir video. He does well to hang on for the duration, sometimes with one hand on the rail & one on the pilots leg. I'm not sure I could support my own weight like that for so long. A definite doff of the cap. 7.:40for the worst stage dive, suprisingly in Leeds! Singer Patrick Sherry fluffed a stage dive and landed head first on the floor mortally injuring himself. The one after that is the now infamous Spanish zoophile who got crushed by the rock while performing with a chicken.